Chicago garage rockers The Orwells have been on a fiery pace over the past two years. With two full-length albums, (one digital, and one physical), two EPs, touring, and a weird but wonderful appearance on The Late Show With David Letterman, the band have been on the rise as more and more people discover them. Discraceland, out June 3rd via Canvasback/Atlantic, is a follow-up to last years Other Voices and Who Needs You EPs. 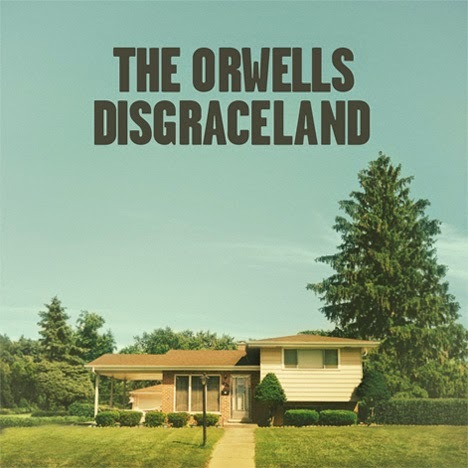 On it The Orwells expand on their Black Lips influenced garage-punk and start coming in to their own as writers and musicians. With producing help from the likes of TV on the Radio's Dive Sitek, Chris Coady (Beach House, Yeah Yeah Yeahs, Grizzly Bear), and Jim Abbiss (Artic Monkeys), Disgraceland comes hard at you full of dirty, choppy guitar that should feed the rebel soul in anyone.